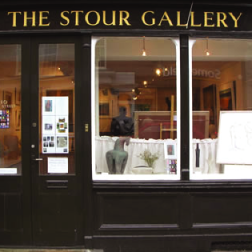 The Stour Gallery are very pleased to announce the launch of their new website produced by The Magic Tractor of Warwick. We wanted a clean and simple design that allowed the Gallery's team to keep the site fresh and up to date with the latest changes to the collection. We want the new site to reflect our love of art including established and emerging artists both locally and nationally and we are very excited about the opportunity to share this passion with a wider audience at the Gallery and also online.